CloneDeploy’s API uses OAuth2 bearer tokens for authentication. A token is valid for 8 hours. Refresh tokens have not yet been implemented. 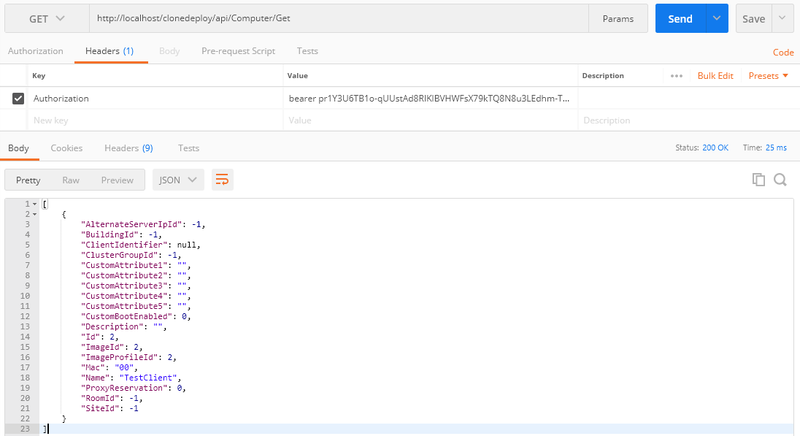 Current API operations can be viewed and tested via Swagger on your CloneDeploy server. For most of you that’s all you will need. If your new to development see below for a few examples. Here is a screenshot from Postman for those that are just getting started with development.